The venerable Nexus 4 was a great phone when it was released in 2012, and it's still a pretty good one now two years later. If only you could still buy it... actually, you can. 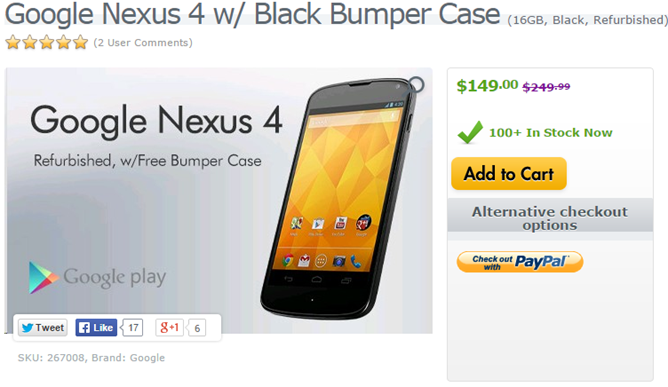 Expansys has some refurbished Nexus 4s they're selling at a steep discount, and they come with a free bumper case. It might be a little old now, but the Nexus 4 is still a capable device, and much more reasonably sized than current flagship phones. 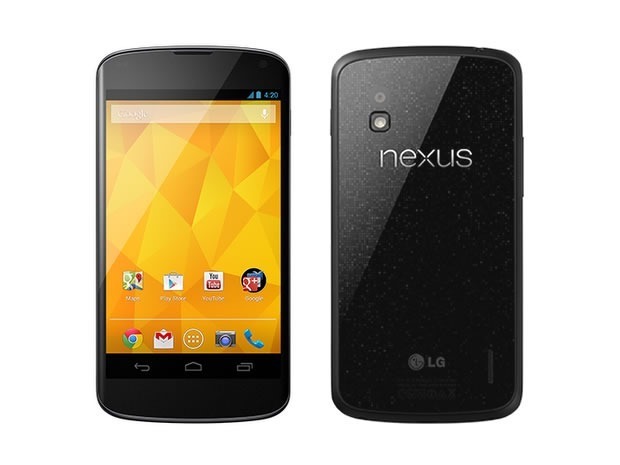 The Nexus 4 has a 4.7-inch screen and 8-16GB of storage and a Snapdragon S4 Pro inside. It runs KitKat right now, but it will be getting an update to Lollipop in the near future. There's no (official) LTE, but that's often the case with inexpensive phones like the Moto G and E. I'd wager the N4 has a more premium feel than either of those. It kind of stands out among Nexus phones in that way. I still miss my Nexus 4 sometimes. Expansys has the 8GB for $130 and the 16GB for $150. That's not bad for a phone that's going to be running Android 5.0 in a few weeks. Both phones come with either a white or black bumper case. There's also a bundle deal with the 2012 Nexus 7, which is slated for a Lollipop update too. I don't feel like that device has held up as well, but it's an option.